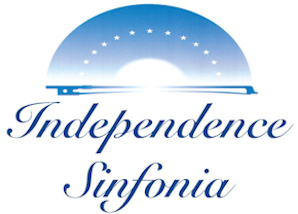 The Independence Sinfonia is an orchestra founded in 1995 by musicians from the Delaware Valley. Our members include talented musicians from all walks of life, including professional musicians, music teachers, doctors, college professors, lawyers, accountants and scientists all of whom are united in the love of music. We are frequently joined by prominent professional musicians as soloists. Daniel Matsukawa, Music Director, is the Principal Bassoon of the Philadelphia Orchestra. He has extensive conducting experience abroad and in the United States. Mr. Matsukawa conducted in the Pacific Music Festival's 20th anniversary concert in Japan garnering famous conductor Maestro Christoph Eschenbach's appraisal of Mr. Matsukawa as a "new conducting star".